Join now and enjoy being a part of our great little Club, right on your doorstep. Way back in 1913, the members of Arncliffe Presbyterian Church, mostly Scotsmen or of Scottish decent, decided to form a Cricket and Baseball team to play in the local competition. In those days, sport was a predominant form of relaxation and entertainment and there were plenty of teams in all sports. Although the Baseball Team was short lived, the Cricket Club remained popular and with the introduction of Rugby League the local sporting organisation experienced ongoing growth. Obviously a suitable name needed to be considered for this sporting group … with the most obvious being ‘Arncliffe Scots’. Arncliffe Scots sporting teams upheld a fine reputation for sportsmanship and conduct and players shared a great sense of mate-ship and passion on the field. Rugby League continued on until the start of the Second World War when it lapsed due to the loss of senior players and organisers who were called up for service. 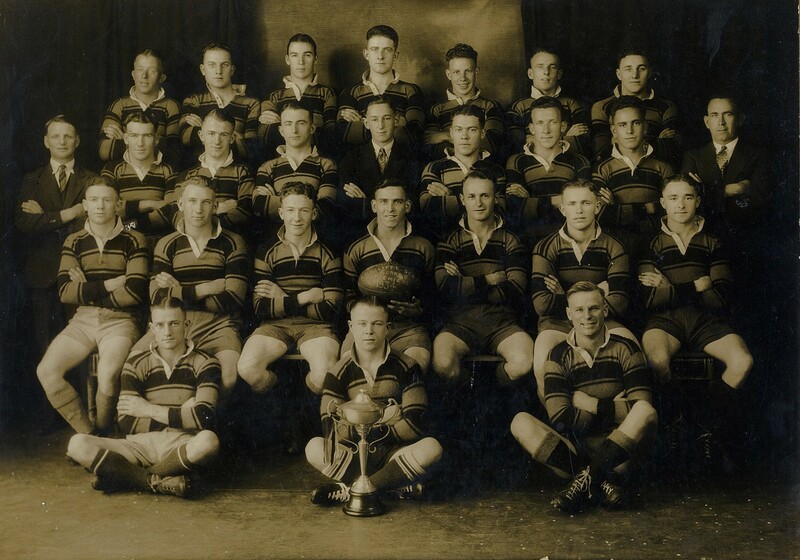 A group of young Arncliffe men, who had been playing Rugby League socially as the “Turella Tigers”, expressed a desire to reform the Arncliffe Scots team after its demise during the war. They enlisted the help of “Tiger” Black and Glyn Price who called a meeting and invited Percy Davis to attend; this meeting would mark the return Arncliffe Scots to the St George Rugby League competition. It was also at this meeting that Percy Davis was elected President and so remained for the next forty years. Once again, Arncliffe Scots fielded numerous sides including an A Grade team. The colours were changed to red, black and gold. The ‘Thistle’ remained the Scots emblem. In 1960 it was suggested that Arncliffe Scots purchase premises to start a Registered Club. After much debate regarding the site for the Registered Club, a site became available alongside Arncliffe Railway Station in Burrows Street. The cost of the property was 15,000 pounds, a huge sum in those days, especially for a Rugby League Club that invested every penny into player development and had no money at the end of each season. The Directors of St George Leagues Club were approached to purchase the Arncliffe Scots premises and after a short meeting decided to support the venture fully. After facing many challenges over the past decade, such as demographic, geographic and legislative changes, Scots Club has recently completed a major refurbishment of our premises. This work has significantly improved the Club environment and now offers premium facilities including Function Facilities and 3 Olives Restaurant, a new and improved dining experience for members. Our refurbished premises are now open for your enjoyment and include an outdoor terrace, new bar and lounge and TAB facilities with the latest technology.